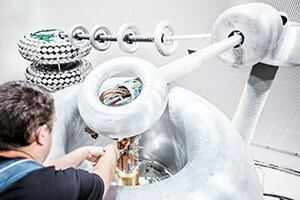 Zurich, Switzerland, August 21, 2014 - ABB, the leading power and automation technology group, has announced a breakthrough in cable technology. It has successfully developed and tested a 525 kilovolt (kV) extruded high-voltage direct current (HVDC) cable system to make renewable energy installations more efficient and cost-effective. "This major technology breakthrough will change the feasibility of renewable energy projects and play a defining role in using underground and subsea high voltage cables to integrate renewables over long distances," said Ulrich Spiesshofer, CEO of ABB. 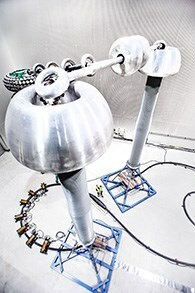 By enabling more power over greater distances with reduced losses, ABB's new 525 kV cable technology offers solutions for countries and utilities seeking to enable their electricity transmission systems to integrate more renewable energy being generated by distant solar and wind installations. A single pair of 525 kV extruded HVDC cables could for example transmit enough power from giant offshore wind farms in to supply two million households.